Eustace Storey / Hon. W. Brownlow lost to Robert Gardiner / Roland Mackenzie 1 hole. 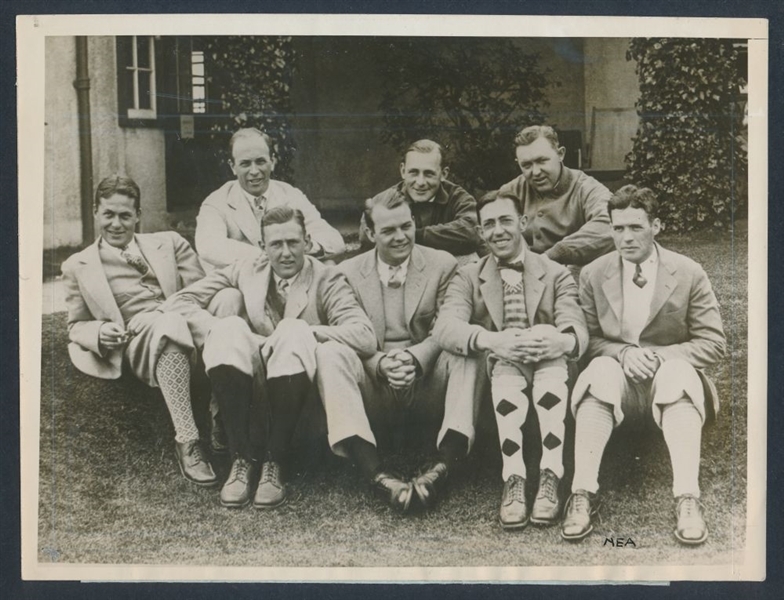 Prior to the 1926 Walker Cup the visiting USA team played a practice match against “The Moles” at Woking GC. 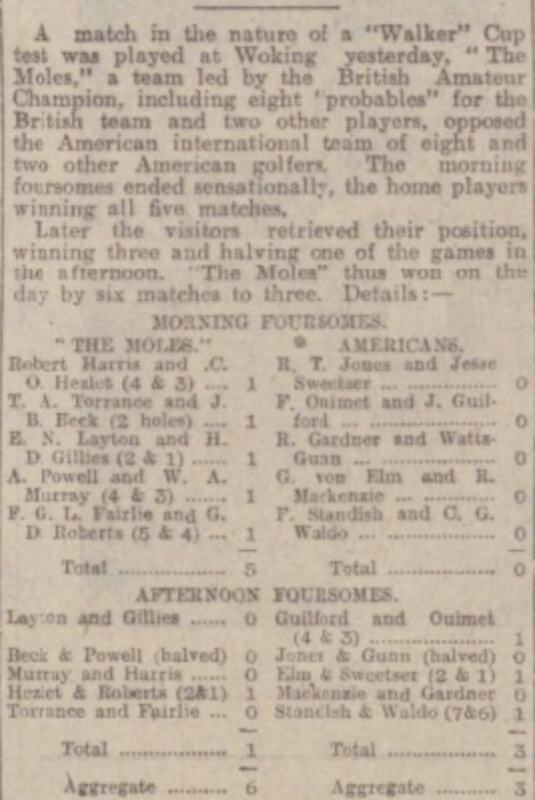 “The Moles”, including two GB&I Walker Cup players (Harris and Hezlet), beat the Amercians 6-3.